A renowned chemist with 25 years of industry and academic experience, Michael Foley will lead a pioneering collaboration designed to speed the development of new drugs for people with cancer and other diseases. 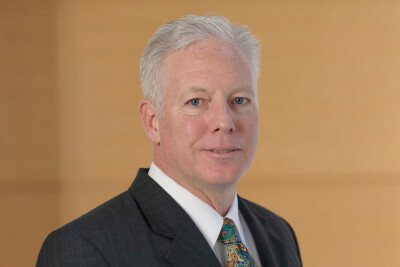 Michael A. Foley, a renowned chemist and entrepreneur, has been elected to lead the Tri-Institutional Therapeutics Discovery Institute, Inc. (Tri-I TDI) — an innovative partnership that Memorial Sloan Kettering recently formed with its neighboring research institutions, The Rockefeller University and Weill Cornell Medical College, to speed drug discovery. Dr. Foley, who brings 25 years of industry and academic experience to Tri-I TDI, is the scientific co-founder of four companies and one academic institute and has placed 12 drugs into clinical development. He was most recently the Director of the Chemical Biology Platform at the Broad Institute of MIT and Harvard. Previously, he worked at two major pharmaceutical companies, Bristol-Myers Squibb and GlaxoSmithKline. Launched in October, the Tri-I TDI was designed to accelerate the development of biomedical research findings into innovative treatments for people with various diseases, including cancer. Under Dr. Foley’s leadership, it will support investigators at the three member institutions during the early stages of drug discovery — a phase during which many promising ideas currently stall due to the lack of research funding. The institute will leverage institutional centers and facilities on the three campuses, including the Experimental Therapeutics Center and Technology Development Fund at Memorial Sloan Kettering, the Abby and Howard P. Milstein Program in Medicinal Chemistry at Weill Cornell Medical College, and the High-Throughput Screening Resource Center at The Rockefeller University. Projects that will be tackled could range from addressing the developing world’s most serious and deadly diseases — from Alzheimer’s disease, cancer, HIV, heart disease, and obesity, to tuberculosis and malaria — and neglected or “orphan” diseases that afflict small numbers of people. Initially, the institute will focus on the development of small-molecule therapeutic agents and molecular probes. Over time, its work will expand to include biologic agents such as monoclonal antibodies and molecular imaging agents. Tri-I TDI has engaged the Takeda Pharmaceutical Company, Ltd., a global biotech company with a strong record of bringing new medicines to the market, as a first collaborator to help develop small-molecule drugs. Marc Tessier-Lavigne, President of The Rockefeller University, notes that building links between academia and industry is an important mission of Tri-I TDI. “I am thrilled to be part of this pioneering approach to drug discovery,” Dr. Foley says of his appointment as Sanders Director of Tri-I TDI and Director of its Sanders Innovation and Education Initiative. His titles recognize a $15 million gift from Lewis and Ali Sanders that helped establish the institute. My sister is lung adeno cancer without distant metastasis but pleura metastasis, stage 4. No smoking, We learned ıt 3 weeks ago, ALK, EGFR Genes are negative, TTF-1 gene iş positive. How can you help us, could you make us to contact with a professional there? Hi Dr. Yavuz, assuming your sister is also living outside the United States, she should contact our International Center at international@mskcc.org or 1-212-639-4900. From outside the United States, you can also use AT&T Direct Access. First dial the access number for the country you are in, then 888-675-7722. You can go to https://www.mskcc.org/experience/become-patient/international-patients for more information. This page is also available in Turkish at https://trk.mskcc.org/experience/become-patient/international-patients/…. Thank you for your comment.